Lightspeed POS, the commerce platform for serious retailers and restaurateurs, just announced the UK launch of Lightspeed Retail, the world’s most powerful cloud EPOS system for independent retailers. Lightspeed POS is already used by more than 26,000 businesses around the world, and processes a staggering £7 billion in transactions annually. Starting immediately, Lightspeed Retail will be available in the UK. The point of sale combines the power of inventory management, customer relationship management, and insightful analytics, with an engaging mobile sales application that enables retailers to sell anywhere, anytime, and on any platform. And success is key. 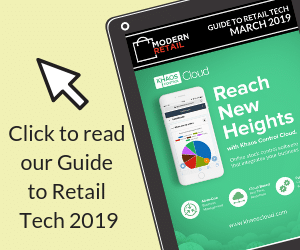 On average, Lightspeed retailers grow their revenue by 20 per cent after the first year of using the product, with the system proving particularly popular among retailers with high-value stock to manage. For instance, more than half of all independent bike shops in the US now use Lightspeed Retail EPOS systems. The company has set the ambitious aim to sign up thousands of retail businesses in the UK over the next year, and intends to triple its London presence to manage this growth and provide 24/7 technical support to customers. On average, Lightspeed customers grow their revenue by 20% after the first year. You can get started for free here. Today’s announcement follows a highly successful year for Lightspeed, in which the company grew bookings by 123 per cent, and last month secured US$61 million in new funding, co-led by Caisse de dépôt et placement du Québec (CDPQ) and Investissement Québec (IQ), alongside existing investors Accel Partners and iNovia Capital.